Chewan A. Evans is the coordinator of student conduct for FVSU’s Office of Student Conduct. In this role, she serves as the disciplinary officer for the university, responsible for managing due process associated with students in alleged violation of the Student Code of Conduct. Among other collaborations, she serves on the university’s Behavioral Intervention Team. She is also an adjunct instructor at Gordon State College, where she teaches college orientation courses as part of the Gordon Access Program. Prior to her current role, she was the assistant director for FVSU’s African World Studies Institute. Her responsibilities included budget management, grants management, supervision of clerical and student workers, and reports management. 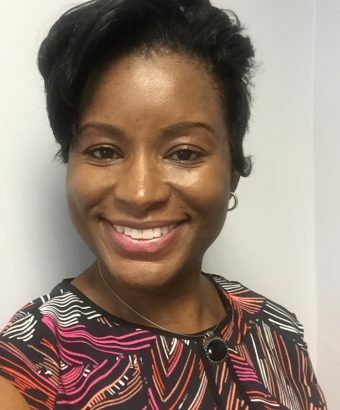 She has also served as the student internship coordinator and adjunct instructor in FVSU’s Department of Business and Economics, where she taught leadership development, professional development, and business leadership. Evans has extensive budget management experience, providing fiscal oversight for the University System of Georgia Board of Regents’ African-American Male Initiative, FVSU’s development of an African World Studies Institute, the St. John’s University Brooklyn Bridge Project, and the Cross Hemispheric Partnership Award. She has served on numerous FVSU boards and committees, including the Leadership Council, ROTC Disenrollment Board, Academic Appeals Committee, Orientation Committee, Presidential Inauguration Committee, Staff Council, Greek Life Advisory Council, Cheerleading advisory Board, African World Film Festival Committee, and Commencement Committee. She was chair of the Homecoming Kickoff Committee and the Senior Week Committee, and chaired the Task Force on Student Violence. In addition, she was advisor to the FVSU student organizations including the Wildcat Spirit Cheerleading Squad and the Sigma Gamma Rho Sorority, Inc. Undergraduate Chapter. A state-wide leader, she has served as president, vice president, membership chair, and fundraising chair of the Macon/Fort Valley Alumnae Chapter of Sigma Gamma Rho Sorority, Inc. as well as Georgia State Coordinator for the sorority. Evans earned a Master of Business Administration Degree from Albany State University and a Bachelor of Business Administration Degree with a marketing concentration from Fort Valley State University. She has training and certifications in USG Active Shooter and Emergency Response, QPR Suicide Prevention 101, Mental Health First Aid USA, American Red Cross Adult First Aid/CPR/AED Training, and ATIXa Title IX Investigator Training.